St. Mary’s Cathedral Manarcad – the Global Marian Pilgrim Centre – is the only church in Malankara, where the site of the church was given in a divine revelation. 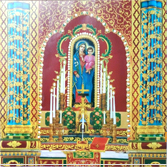 The holy shrine- St. Mary’s Jacobite Syrian Cathedral, Manarcad – celebrates the feast of the Nativity of Virgin Mary on September 8. 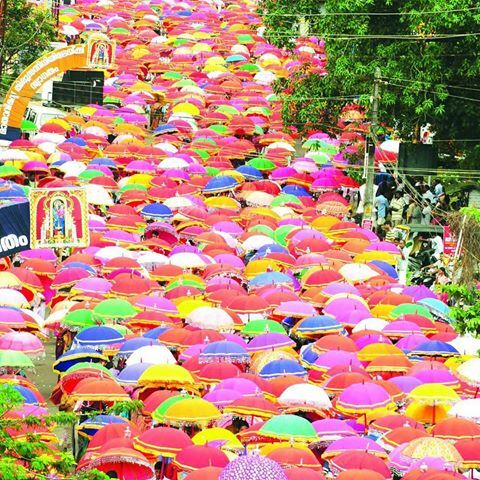 September 1 to 8 is the historic Eight Day Lent at Manarcad for which all roads lead to this Holy Shrine and hundreds of thousands of pilgrims throng here seeking favors and blessing from the Holy mother. 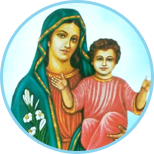 St. Mary’s Church, Manarcad, one of the most prominent parishes of the Malankara Jacobite Syrian Church, has always upheld faith and the allegiance to the Holy Apostolic Throne of Antioch and All the East. Spread over 12 Kara, the parish consists of 3000 families and it is grace with the eminent and devoted service of nine priests; the Vicar and nine assistant vicars. The stone cross situated right in front of the Church is as old as the church. The Following is the story of the establishment of the cross. The covered portrait of holy mother with child Jesus in her hand kept in the sanctum sanctorum will be open as “darshan” on 7th September every year. When the time came for the holy mother to depart from the world there assembled the heavenly host, souls of prophets, apostles and humans. The old church was situated on the eastern side of the main road and is established in the name of St.George it is believed that the present church was built during the period A.D 1056. Originally the area was as paddy field and the first church was build with bamboo poles and mats. The present church was renovated in 1993 keeping its traditional architecture and splendor. In 1985, a chapel was established at Manganam about 7 km. away from the church, for the sake of more than 60 families residing there, who are parish members of the Church. Holy service has been conducting on all Sundays here. Social and charitable activities are also conducted by the chapel. 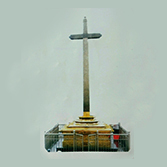 There are two shrines for the church; one at Kaniyankunnu, on the western side of the church, at Manarcad – Ettumanoor bypass road, and established, in 1938. The other at Manarcad Junction, K.K. Road (NH 220), which was established 1945.